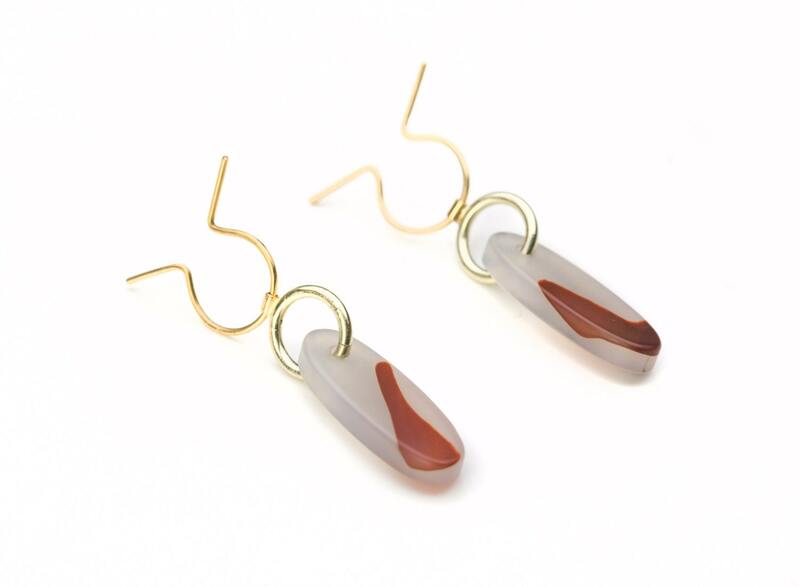 Earrings, 18 kt yellow gold, polished, agate, white-brown, oval. Earrings with oval agates, with beautiful white-brown red drawing as earrings made of 18 kt yellow gold, polished. Stone size 22 mm x 8 mm.